Acrylic woodcarver Den Braven Wood-Putty.Den Braven Wood-Putty is a colored, acrylic woodcutter for ..
Everbuild all purpose instant filler 1lit..
Stuccofill fine marsony acrylic putty suitable for finishing of big surfaces Tetralux 0,800kg ..
Stuccofill fine marsony acrylic putty suitable for finishing of big surfaces Tetralux 5kg . 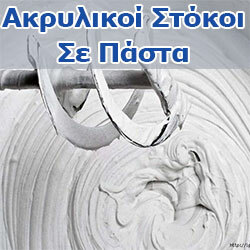 St..
Stuccolux fine 0,400kg white marsony acrylic putty Tetralux for interior and exterior use. It exhibi..
Stuccolux fine 5kg white marsony acrylic putty Tetralux for interior and exterior use. It exhibits h..
Tetralux Light Stucco putty 0.750ltLight stucco 852 of TETRALUX is a lightweight, elastic, acrylic p..